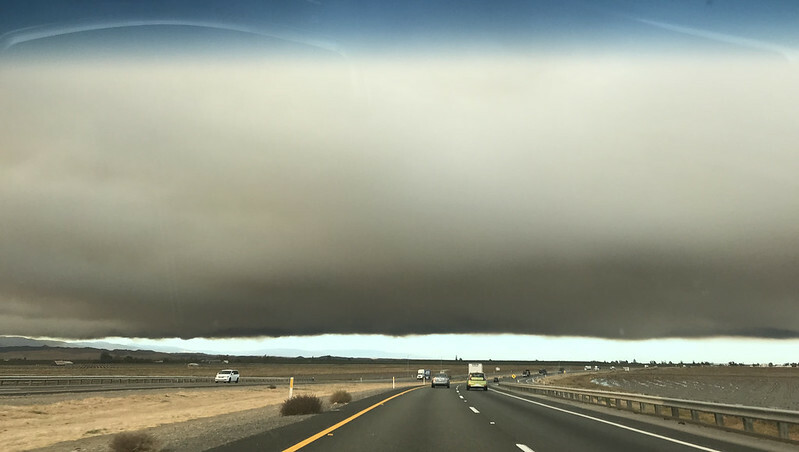 Tamara Plummer, Program Officer for Asset Recognition, recounts her time in the Golden State late last year during and after the tense moments of the wildfires and Thousand Oaks shooting. At 5:30 a.m. I realize that I have overslept my alarm, so I quickly get ready, pack the car and drive to pick up The Rev. Canon Michael Bamberger. We are heading to the Diocese of Los Angeles Convention to present on disaster preparedness and response. As I pull into the driveway, a beautiful black labrador comes booming in my direction. He is obedient and sits when told. I pet him and then he booms back inside. Michael has on his professional clericals, a far cry from the usual Hawaiian shirts I am used to seeing on video calls. He greets me with a smile, enthusiastic wave, and a confirmation that he has no intention of driving this early in the morning. An hour and a half later, we stop for coffee and to review our joint presentation. While Michael is in high spirits, I see his exhaustion as we drink our preferred forms of caffeine and prepare our hearts and minds to be present with a community after a disaster. A few weeks earlier, Bamberger (as I like to call him) was being picked up by my colleague Lura Steele to present similar content at the diocese of Northern California convention. 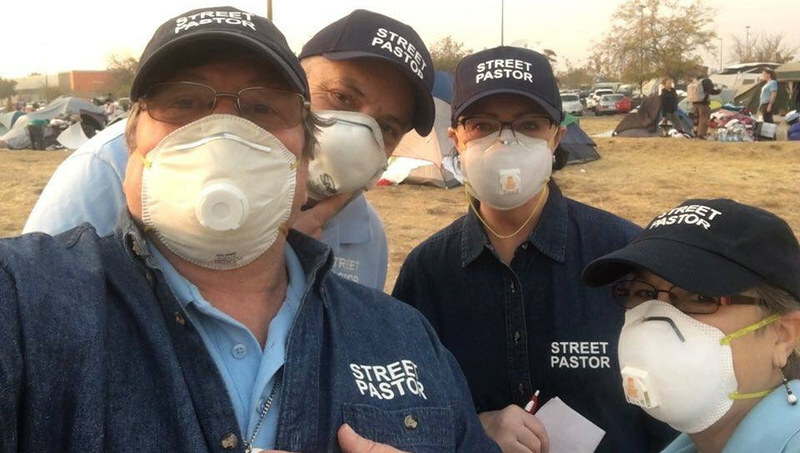 Bamberger is a dedicated member of our Partners in Response team, a group of volunteers that support congregations and dioceses as they respond to the needs of vulnerable communities after a disaster. During our drive and coffee/workshop planning time, I was able to learn more about the recent events that have impacted communities in California over the past few months. It was late when The Rev. Julie Morris (chaplain, California State University Channel Islands), The Rev. 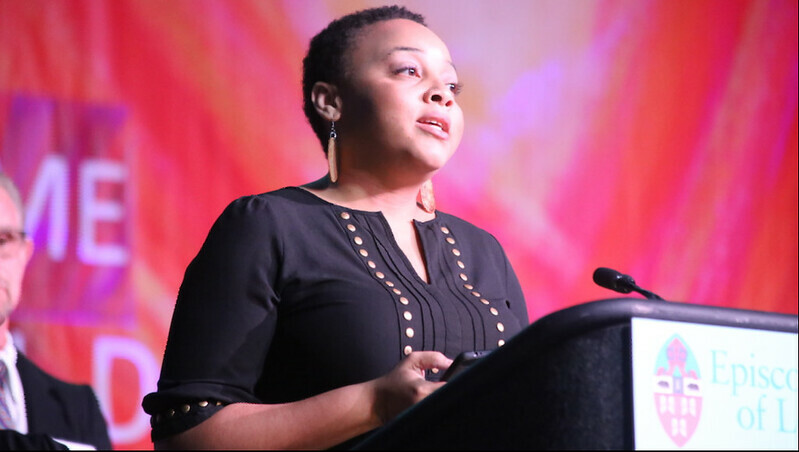 Nicole Janelle (Abundant Table), The Rev. George Daisa (rector, St. Patrick Episcopal Church, Thousand Oaks CA) and The Rev. Kate Lewis (chaplain, St. John’s Hospital, Oxnard CA) heard about the shooting at the Borderline Bar & Grill. Country music fans from local colleges like Cal State, Channel Islands and Cal Lutheran University were among the survivors and victims of that violent evening in Thousand Oaks, California. Throughout the night, clergy sat with families and prayed with and for them. They went to the Thousand Oaks campus the next day and did their best to share Christ’s love with students who were dealing not only with their lost sense of safety but also the sudden passing of friends. But before the full weight of the moment could set in, another disaster quickly approached. By 4:00pm, the Hill and Woolsey fires required a heartbroken community to quickly gather their things and head to safety. 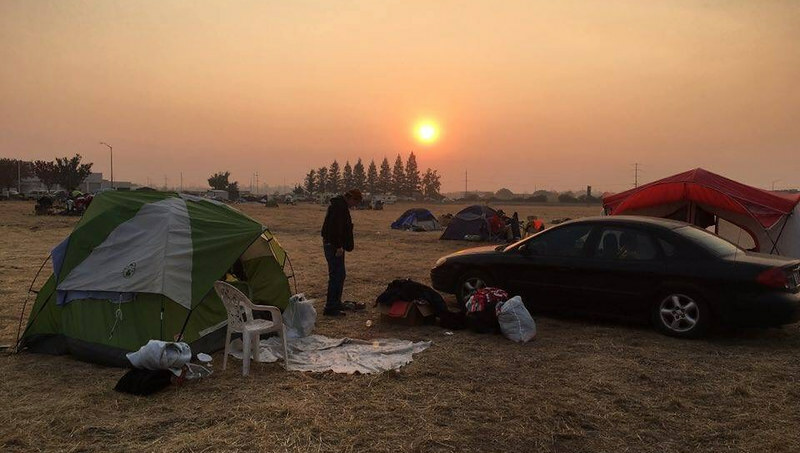 In Northern California, the Camp fires were also ablaze. These three major events transpiring in such a short period of time can be overwhelming for anyone. Regardless of your distance from such tragedies, we are all impacted—at various levels—by the stories of loss and tragedy as a result of a mass shooting and three major fires in the span of a week. Yet even with this grief, God’s love, grace and hope find their way into the darkest places and it continues to amaze me. As Bamberger and I walked to the entrance of the convention center, the cool breeze of early California touched our skin – the beautiful mountains coated with a kiss of snow – the sun provided much needed Vitamin D. Nature was still at work, reminding us of God’s presence. As we got ready for our presentation – our last minute addition to the schedule – to my surprise, the seats filled up quickly. In these gatherings, our goal is to ground our disaster preparedness and response in the ability to build more resilient communities. And building resilient communities is based on relationships and connections with God and community. Many disaster conversations focus on all that could go wrong and on writing up plans to address these issues. This is quite important work. But it is also helpful to think about the relationships we have with each other and our broader community groups. The ministries and organizations that use your worship spaces, for example, can be a vital part of how you respond to and prepare for disasters. During the fires, The Rev. Daisa followed calls for evacuation, not knowing if the church or day school would still be there upon his return. But there were two major things that helped them survive. Firstly, they cleared the brush from around the church. It was expensive, but after much discussion, they decided to do it. Secondly, Daisa and the church had a good relationship with the local fire department and police chief. As the police chief patrolled the community, he saw that the church was vulnerable to the impending fire, so he sent a fire truck to protect the church and school property. Thankfully the property was spared, and in the aftermath, became a place of respite and recovery. These past two years have been filled with many disasters, and communities are still recovering and will continue to do so for a long time. My trip to California confirmed for me that the best role for the church is to walk with communities as they establish their ‘new normals’. And that doing so isn’t instantaneous; it takes time, but we are Christ’s hands and feet walking with you through the challenges to the other side.